Two hours of intense brutality. Over and over again, rods and whips struck Jesus as the crowd called for vengeance that the Roman soldiers were all too willing to provide. Watching Mel Gibson’s The Passion was exhausting. This is a powerful movie that holds your attention even when you want to look away. Is the movie Biblical? For the most part, yes. Gibson sticks close to the Scriptures, drawing from all four of the Gospels. Since this is a two-hour movie, he inserts scenes that are not found in the New Testament. These, however, do not detract from the overall story. Is this movie realistic? I’m not so sure. First of all, the beating Jesus received was more than a man could have endured. When the Roman soldiers flog him, an act that Pilate hopes will satisfy the crowd’s appetite, the soldiers first use whips. Soon, Jesus falls on the ground and the beatings stop. Then a bloody Jesus slowly pulls himself upright, allowing the soldiers an opportunity to inflict more pain. They switch implements, using whips embedded with metal hooks. Demonstrating their destructive nature, a Roman soldier slaps a table and pulls out a chunk of wood. Then he and a colleague, with all their strength, utilize these horrible whips on Jesus’ back. I didn’t count how many lashes Jesus received. It was certainly more than a mortal could endure, for whips with such hooks would have, after just a few stokes, ripped out a man’s ribs and backbone. I was left to wonder if the Jesus who suffered in Gibson’s movie wasn’t more divine than human, a belief known as Docetism. The Docetists de-emphasized the humanity of Jesus, a theology labeled a heresy by the early church. Traditional Christian understanding is that if Jesus were only divine, his suffering would have little meaning for mortals. In a strange way, I found myself breathing easier once Jesus was on the cross, knowing that his suffering was soon to be over. However, in actuality, death on the cross was terrible because it was so slow as the victim struggled to breathe. 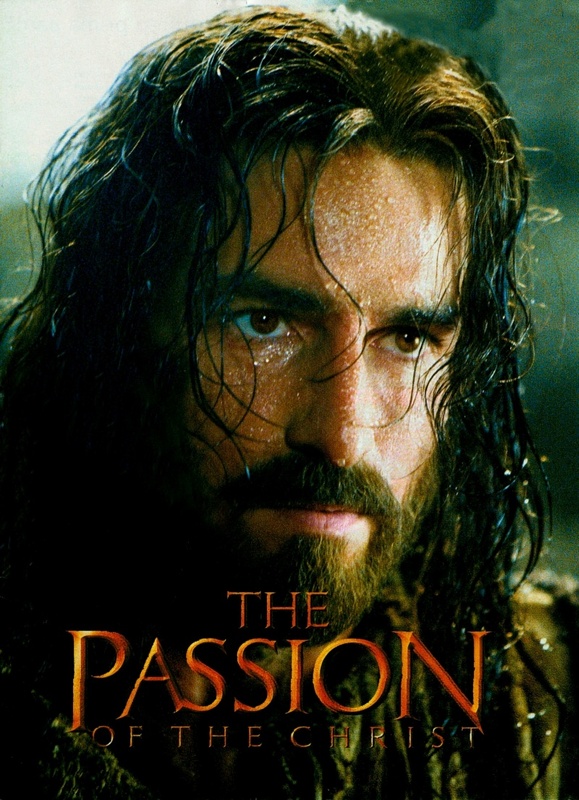 Cinematically, such a death would hold less interest because of its lack of action, which is perhaps why Gibson’s emphasized Jesus’ suffering prior to the crucifixion more than the cross itself. Although I did not find the movie anti-Semitic, I think Gibson could have done a better job of portraying the Jewish priests and the crowd. The priests appeared to be one-dimensional psychopaths, hardly the type to incite a riot. If we’re to believe, as the church teaches, that all humanity is responsible for Jesus’ death, a more realistic portrayal of the priests and crowd could have left those watching the movie torn over how we might have responded to the situation. Instead, I couldn’t help but to be angry with the soldiers who carried out the sentence, with the priest who trumped up the charges, and with the crowd who encouraged Pilate go against his conscience and sentence Jesus to death. Each year in the streets of San Antonio, thousands of people gather to reenact the events from 2000 years ago. Someone plays Jesus, carrying the cross, as others in the role of Roman centurions clear the crowds and push Jesus forward with the lash of a whip. During one such reenactment, a young boy with tears in his eyes broke free from his mother’s hand and charged one of the soldiers, kicking him in the shin while yelling for them to leave his Jesus alone. Having watched The Passion, I know how the boy felt. Will people be brought into a relationship with Christ, as we hope, or will the movie continue to desensitize us to violence as other movies have done? Only time will tell. The Passion does, however, provide us with a graphic understanding of Jesus’ death. When Jesus told would be disciples they’d have to pick up their cross and follow him, they knew what it meant. The Romans employed the cross as a way to maintain control and those living in first century Palestine had witnessed enemies of Rome wither in agony upon the “awful tree.” Picking up one’s cross emphasized the price one might have to pay to be a disciple. The Protestant understanding of the resurrection transforming that “awful tree” into the “wondrous cross” led to a sanitization of the cross by removing Jesus and leaving it bare. The empty cross reminds us that death is not the final word. 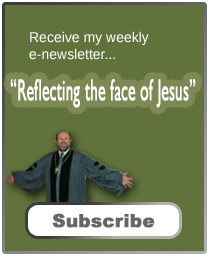 Yet, we still need to be reminded of the price our Savior paid and the cost of discipleship. Here The Passion provides insight. It’s a powerful movie. But then, the script with which Gibson worked has had the power to changed lives for 2000 years. My advice to the squeamish, skip the movie and read the Book. Great review Jeff. Agree wholeheartedly with you. Read the “Book.” It gives the complete story from the perspective of eyewitnesses. I did not like the movie. It was too Mel Gibsonish. Any movie he makes is filled with too much violence. He always goes to the extreme. I agree with your review.